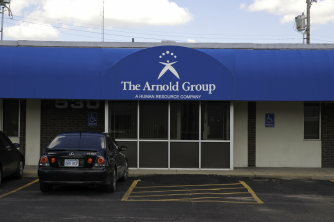 The Arnold Group, owned by George and Marion Arnold, opened its first office in Wichita, Kansas in 1979. Later they expanded to include offices in: Emporia, Hutchinson, Salina, Winfield and Olathe Kansas. After 25 years spent working for large corporations—including 15 years in a nation-wide staffing agency, George desired to strike out on his own. He opened a small temporary staffing office in Wichita, Kansas using his experience, entrepreneurial spirit and principle belief—put the customer first and develop long-term relationships with them. Twenty-six years later these basic principles are still the foundation of our company’s success.